Next Generation Networking (NGN) is a broad term to describe some key architectural evolutions in telecommunication core and access networks that will be deployed over the next 5-10 years. The general idea behind NGN is that one network transports all information and services (voice, data, and all sorts of media such as video) by encapsulating these into packets, like it is on the Internet. NGNs are commonly built around the Internet Protocol, and therefore the term "all-IP" is also sometimes used to describe the transformation towards NGN. The Optical Management System (OMS) lets you centralize multiple network management functions with one system. It helps simplify SDH, SONET and optical Ethernet transport network operations while enabling the evolution to next-generation, service-oriented networks. Optical performance monitoring (OPM) is used for managing high capacity dense wavelength division multiplexing (DWDM) optical transmission and switching systems in Next Generation Networks (NGN). 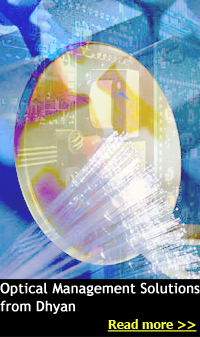 OPM involves assessing the quality of data channel by measuring its optical characteristics without directly looking at the transmitted sequence of bits. It is a potential mechanism to improve control of transmission and physical layer fault management in optical transmission systems. In optical communications, typical roles for optical performance monitoring include ensuring correct switching in reconfigurable optical add-drop multiplexers, setting levels for dynamic equalization of the gain of optical amplifiers, and providing system alarms and error warning for lost or out of specification optical channels. The optical component used for this purpose in DWDM networks is known as optical performance monitor (OPM) or optical channel monitor (OCM), which measures channel power, wavelength, and optical signal-to-noise ratio (OSNR) for each channel. Synchronous optical networking (SONET) and Synchronous Digital Hierarchy (SDH), are two closely related multiplexing protocols for transferring multiple digital bit streams using lasers or light-emitting diodes (LED's) over the same optical fiber. The method was developed to replace the Plesiochronous Digital Hierarchy (PDH) system for transporting larger amounts of telephone calls and data traffic over the same fiber wire without synchronization problems. * SDH has additional mapping options which are not available in SONET.